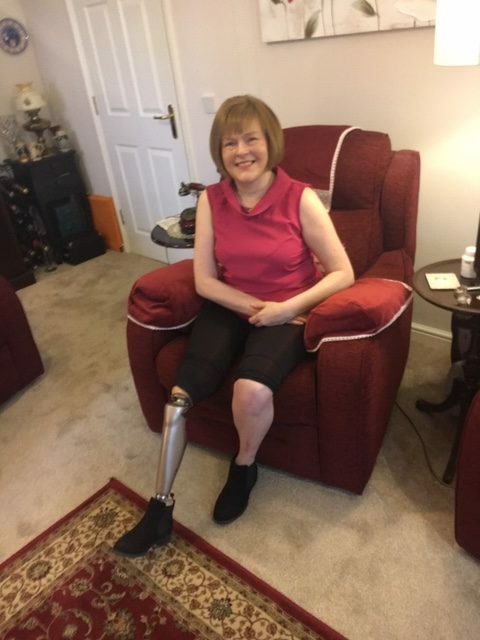 My name is Debbie and I lost my right leg to above the knee on 7th December 2012. I limped into the hospital to have a routine operation to unblock a vein and came out with a limb missing. I was referred to a psychologist to talk about it but the first thing I thought was, how would he understand what I was going through? He couldn’t really understand as I watched him walk across the room!. If an amputee had visited me shortly after and listened to the issues that I was struggling to come to terms with and understood everything that was going through my head, I would have been inspired much sooner. Everyone who is an amputee has a different journey and story to tell. My family needed support. We had never had a disability in our family. It was incredibly stressful for them too. I chose to train to become counsellor because of the lack of support I had after my operation. I feel very privileged that Steel Bones have asked me to help them. I wish I had had their support back in 2012. I think that counselling would make a huge difference to new amputees, amputees that are struggling to come to terms with a new way of life, any amputee out there that is trying to make their life work for themselves. You do not have to struggle alone.